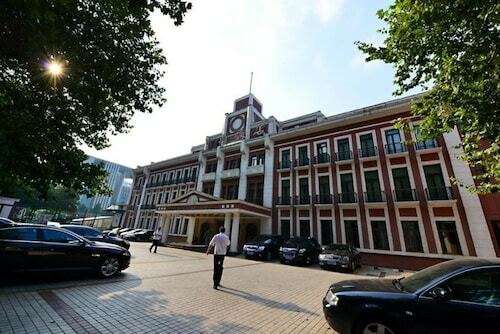 Located in Xuan Wu, this hotel is 0.2 mi (0.3 km) from Nanjing Presidential Palace and 1.9 mi (3.1 km) from Nanjing University. Nanjing Library and Southeast University are also within 2 mi (3 km). Located in the center of Nanjing, this family-friendly hotel is within a 5-minute walk of Nanjing Library and Nanjing Presidential Palace. Nanjing University is 1.6 mi (2.6 km) away. Daxinggong Station is only a 3-minute walk and Xi'anmen Station is 14 minutes. 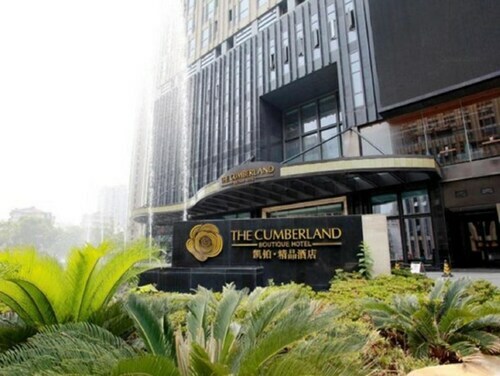 Situated in Nanjing, this hotel is 0.5 mi (0.9 km) from Nanjing Presidential Palace and 2.2 mi (3.6 km) from Nanjing University. Nanjing Library and Nanjing Aeronautics and Astronautics University are also within 2 mi (3 km). Xi'anmen Station is 6 minutes by foot and Daxinggong Station is 14 minutes. 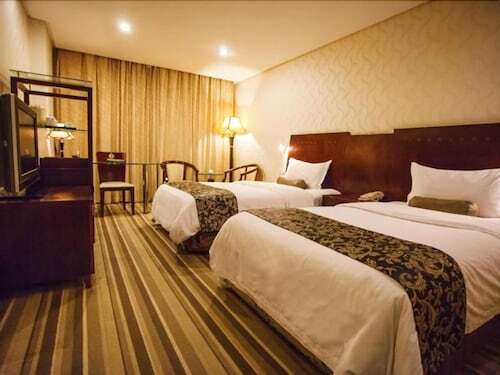 Located in Xuan Wu, this hotel is 0.5 mi (0.8 km) from Nanjing Library and 1.5 mi (2.4 km) from Nanjing University. Nanjing Presidential Palace and Southeast University are also within 15 minutes. Daxinggong Station is 13 minutes by foot and Zhujianglu Station is 20 minutes. Located in Xinjiekou, this boutique hotel is 0.4 mi (0.7 km) from Nanjing Presidential Palace and 2 mi (3.1 km) from Nanjing University. Nanjing Library and Southeast University are also within 2 mi (3 km). Daxinggong Station is 9 minutes by foot and Xi'anmen Station is 13 minutes. 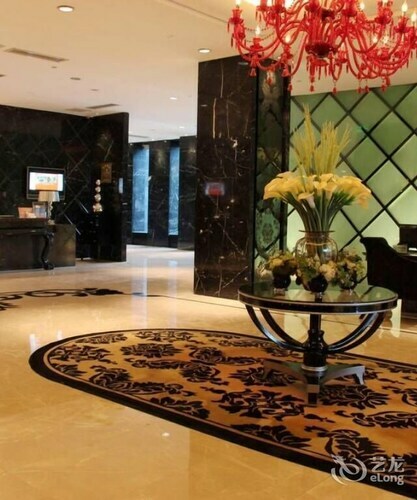 Situated in Nanjing, this hotel is 0.6 mi (1 km) from Nanjing Presidential Palace and 2.3 mi (3.8 km) from Nanjing University. Nanjing Library and Nanjing Aeronautics and Astronautics University are also within 1 mi (2 km). Xi'anmen Station is only a 4-minute walk and Daxinggong Station is 16 minutes. 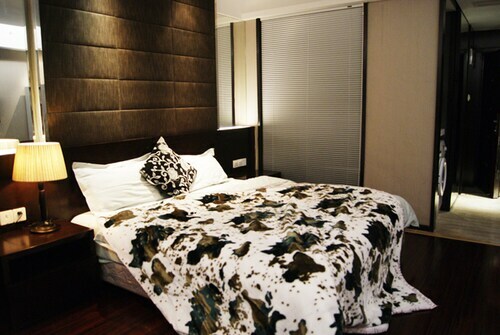 Located in Xuan Wu, this aparthotel is within 1 mi (2 km) of Southeast University and Nanjing University. Nanjing Library and Nanjing Presidential Palace are also within 1 mi (2 km). Zhujianglu Station is 15 minutes by foot and Daxinggong Station is 16 minutes. 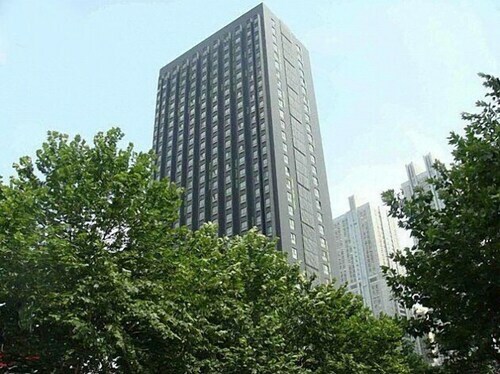 Located in Xinjiekou, this aparthotel is 0.5 mi (0.8 km) from Nanjing Library and 1.4 mi (2.2 km) from Nanjing University. Nanjing Presidential Palace and Southeast University are also within 1 mi (2 km). Daxinggong Station is 10 minutes by foot and Xinjiekou Station is 15 minutes. 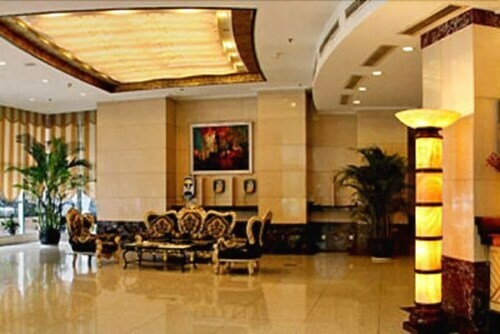 Located in Xuan Wu, this hotel is 1 mi (1.6 km) from Nanjing Presidential Palace and 2.5 mi (4 km) from Nanjing University. Nanjing Aeronautics and Astronautics University and Nanjing Library are also within 1 mi (2 km). Xi'anmen Station is 10 minutes by foot and Minggugong Station is 20 minutes. 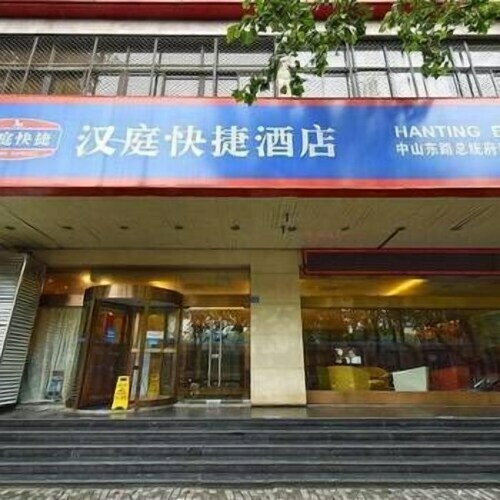 Located in Xinjiekou, this hotel is 0.5 mi (0.8 km) from Nanjing Library and 1.8 mi (3 km) from Nanjing University. Nanjing Presidential Palace and Temple of Confucius are also within 1 mi (2 km). Daxinggong Station is 7 minutes by foot and Xinjiekou Station is 17 minutes. 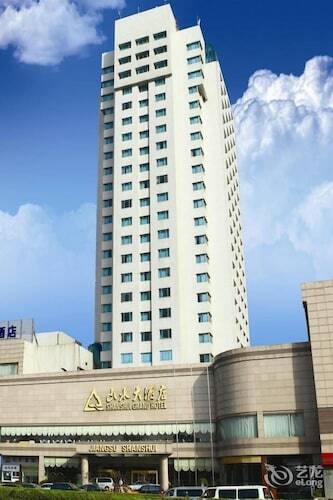 Located in Xinjiekou, this hotel is 0.4 mi (0.7 km) from Nanjing Library and 1.3 mi (2.1 km) from Nanjing University. Nanjing Presidential Palace and Southeast University are also within 1 mi (2 km). Daxinggong Station is 10 minutes by foot and Xinjiekou Station is 12 minutes. Located in Xinjiekou, this apartment building is 0.5 mi (0.8 km) from Nanjing Library and 1.3 mi (2.1 km) from Nanjing University. Nanjing Presidential Palace and Southeast University are also within 1 mi (2 km). Daxinggong Station is 11 minutes by foot and Xinjiekou Station is 12 minutes. Want to find out some more about Site of King Tianwang's Residence of the Taiping Heavenly Kingdom before you book flights? Here are a few tips. You'll be able to see it in Xuan Wu. You'll find an excellent range of accommodations here, with no less than 59 within a quick trip of Site of King Tianwang's Residence of the Taiping Heavenly Kingdom. Have a look at the InterContinental Nanjing (2 kilometres). That said, the Grand Metropark Hotel Nanjing (2 kilometres) and the Jinling Hotel Nanjing (2 kilometres) are also worthy. If you'd much rather be exploring the area, then why break the bank on accommodation? There are some bargain options nearby. 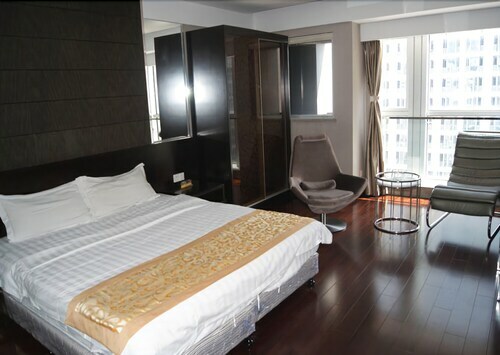 Some choices are the Jinhui Hotel - Nanjing and the Ai Jinling Serviced Apartment, 2 kilometres and 2 kilometres away, respectively. Take a load off at one of the many upscale hotels nearby. Check out the rooms at the New Era Hotel, 2 kilometres away. Alternatively, the Central Hotel NanJing is only 2 kilometres away. Sightseeing can really take it out of you! When it's time to re-energise, pop in to Starbucks Coffee. It's just a quick stroll from Site of King Tianwang's Residence of the Taiping Heavenly Kingdom. When you need to fill your stomach, choose from a variety of options at Duck Blood Vermicelli Soup. If you'd like to kick back with a beer or a wine, Nanjing Cultural Arts Center is the ideal place. Participate in any guided tours of Nanjing Presidential Palace, or simply view the exterior architecture of this stately palace. Immerse yourself in an imaginary world at Nanjing Library. On a sunny afternoon, spend some time reading and relaxing in Xuánwǔ Lake Park. Contemplate the area's history when you stop by Memorial Hall of the Nánjīng Massacre. For quite a while, Southeast University has been shaping many great minds. Give this great campus a visit and experience what it's like today. How Much is a Hotel Room in Site of King Tianwang's Residence of the Taiping Heavenly Kingdom? Hotels in Site of King Tianwang's Residence of the Taiping Heavenly Kingdom start at AU$50 per night. Prices and availability subject to change. Additional terms may apply.